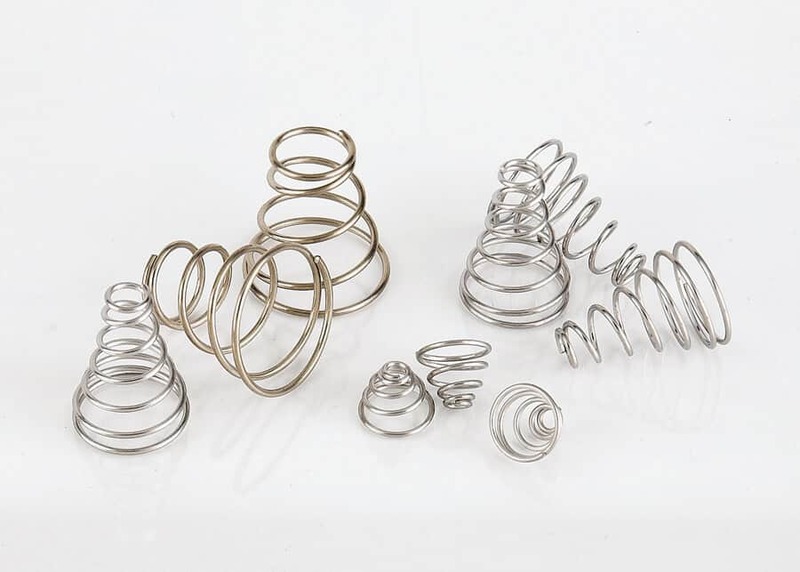 Designed in a conical shape so that each coil compresses within the other, Conical Compression Springs are able to achieve a much smaller solid height than ordinary compression springs. Ends are squared, not ground. Rate is linear due to conical design. ASTM A313 are able perform in high temperature environments, up to 500°F.